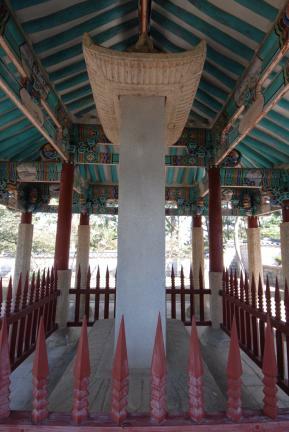 임진왜란(1592∼1598) 당시 명량대첩(1597)을 승리로 이끈 이순신의 공을 기념하기 위하여 세운 비이다. 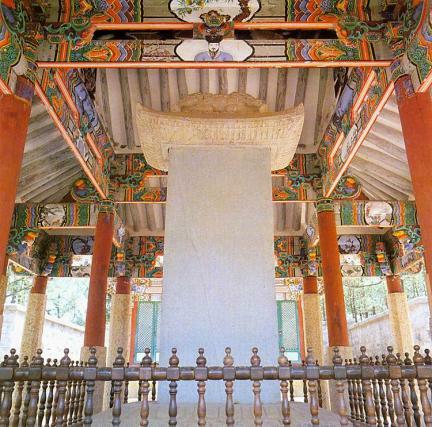 일제강점기때 경복궁에 옮겨졌던 것을 1947년에 해남의 해안지역(문내면 학동리 1186-7번지)으로 옮겨 세웠다가 2011년 3월 원 설립지인 현재의 위치로 이전하게 되었다. 이 석비는 직사각형의 비 받침 위에 비 몸돌을 꽂고, 그 위로 구름과 용을 장식한 머릿돌을 얹은 형태이다. 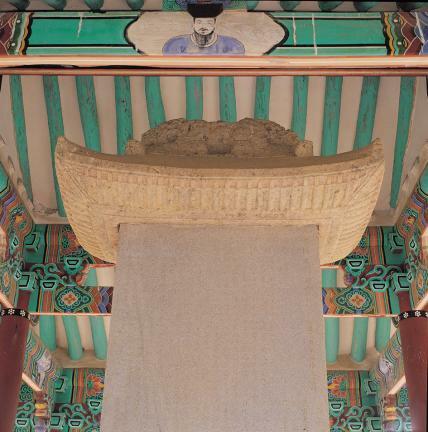 비문에는 선조 30년(1597) 이순신장군이 진도 벽파정에 진을 설치하고 우수영과 진도 사이 좁은 바다의 빠른 물살을 이용하여 왜적의 대규모 함대를 무찌른 상황을 자세히 기록하였는데, 철천량해전 이후 수습한 10여척의 배로 왜적함대 500척을 격파하였다고 기록되어 있으며, 아울러 명량대첩이 갖는 의미 및 장군의 충의에 대해서도 기록되어 있다. 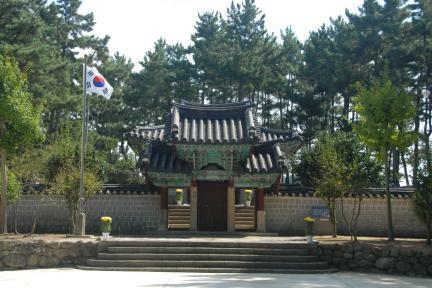 비문은 1686년에 쓰여졌으나 비가 세워진 것은 2년 뒤인 1688년으로, 전라우도수군절도사 박신주가 건립하였다. 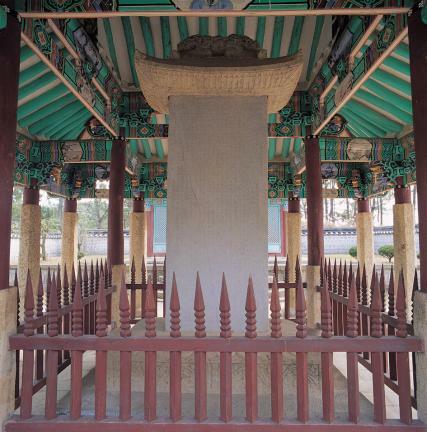 This monument was erected to commemorate the achievements of Admiral Yi Sun-sin who led his naval forces to a sweeping victory against Japanese forces in the naval Battle of Myeongnyang during the Japanese invasion of Korea (1592~1598). 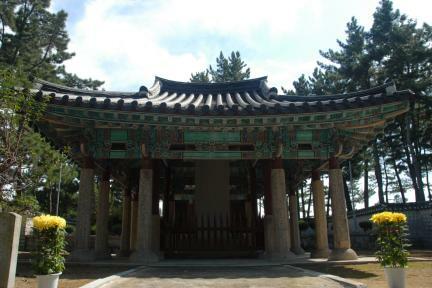 It was relocated, first to Gyeongbokgung Palace during the Japanese colonial period, then in 1947 to the old Usuyeong Naval Headquarters of the Joseon Dynasty located in the southernmost area of the present-day Haenam County facing Jindo Island, and finally to its current location in March 2011. 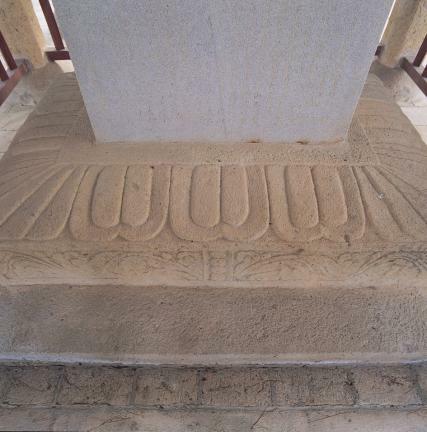 This stone monument consists of a pedestal including a rectangular supporting stone for the main body, and an ornamental top carved with designs of dragons and clouds. 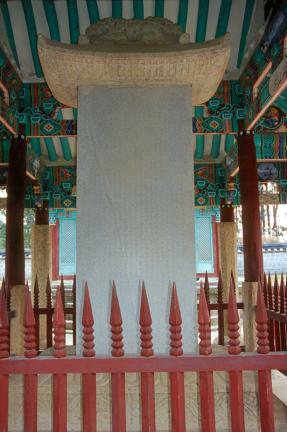 The inscription includes a detailed account of how Admiral Yi encamped in Byeokpajeong Pavilion of Jindo, and how in 1597, the 30th year of the reign of King Seonjo, he exploited the swift current between Usuyeong Naval Headquarters and Jindo to defeat a fleet of 133 Japanese ships with his 12 ships. 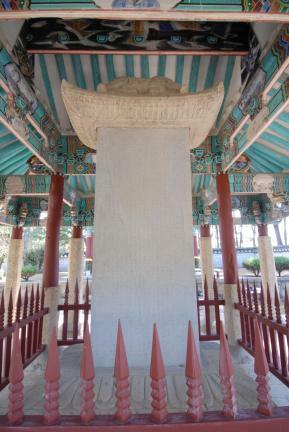 Although the inscription was written in 1686, the monument itself was erected by Bak Sin-ju, a regional commander of the Jeolla-do naval forces, in 1688.